Doctor giving pills bottle in clinic. 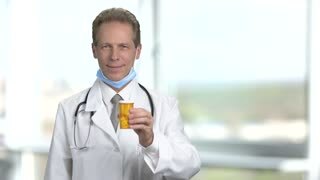 Portrait of male physician is advising to take vitamins pills. Abstract blurred windows background in bright room. Physician doctor is advising to use antidepressants. Blurred windows with jalousie background. Portrait of old doctor prescribing medicine to you. Doctor giving pills bottle in clinic, bright blurred background. Doctor therapist giving you can of pills. Glad happy mature adult physician with orange can of medicine and thumb up. Big bright checkered framed windows background. 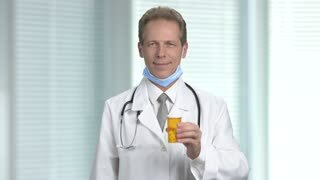 Mature adult physician giving pills and thumb up. Doctor recommed drugs in can. Abstract blurred background in bright room in hospital. Physician is advising to use antidepressants. Old doctor in white coat and stethoscope consulting and recommed vitamins. Blurred city background out of window. Male physician showing blister of pills. 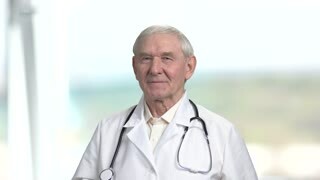 Portrait of mature doctor with stethoscope advertising medical pills. Blurred clinic window background. Handsome caucasian doctor giving a lecture. Smiling physician talking to audience while holding pc tablet. Blurred clinic background.